Returning for our 3rd year, we're bringing five fun shows from across the country to Fresno for one fabulous weekend! Sponsored by the Rogue Festival to bring first-class fringe theater performances to Fresno year-round. 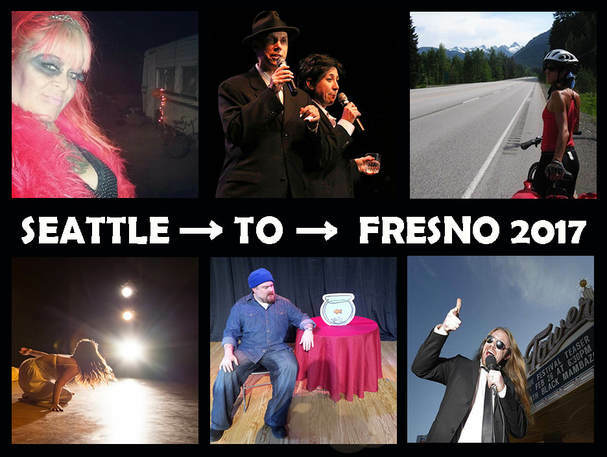 Returning for our 2nd year, we're bringing five fun shows from across the country to Fresno for one fabulous weekend! Sponsored by the Rogue Festival to bring first-class fringe theater performances to Fresno year-round. We're bringing five fun shows from across the country to Fresno for one fabulous weekend! Sponsored by the Rogue Fringe Festival to bring first-class fringe theater performances to Fresno year-round. Line up included two local shows, two visiting groups, and a variety show that mixes Fresno artists with visiting friends. Show styles range from dance to comedy to storytelling to magic and more.